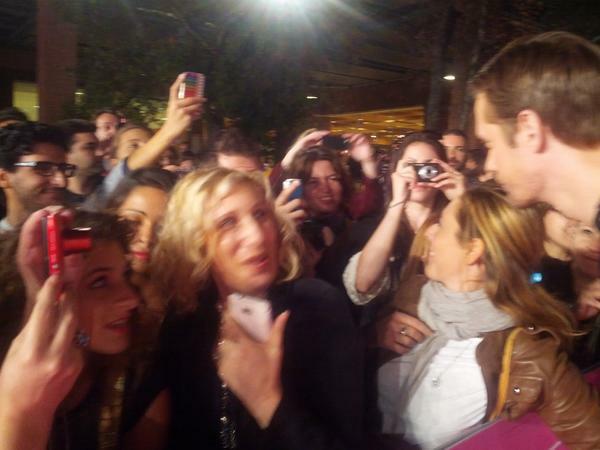 Alexander Skarsgard is at Roma Fiction Fest for the premiere of True Blood season 5. Also in attendance are Kristin Bauer van Straten and Valentina Cervi. 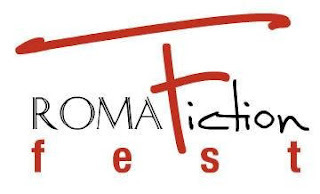 The True Blood season 5 premiere for Italy will be on October 3, 2012 at Auditorium Parco della Musica – Sala Petrassi at 9:30 pm. Here’s another one of Alex taking a photo with a fan. Mission accomplished!! This is one of my favorite photos of Alex with a lucky fan! Love their smiles! Great to see Alex with all the fans! 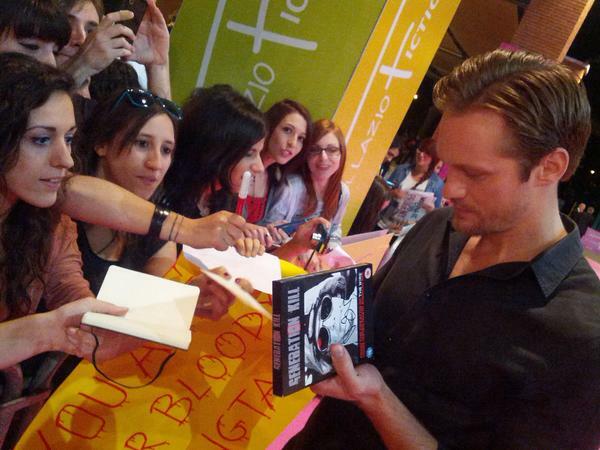 Can’t wait to hear from a friend who is there for True Blood Italy! Keeping fingers crossed for her that she gets to meet Alex and get some great photos! 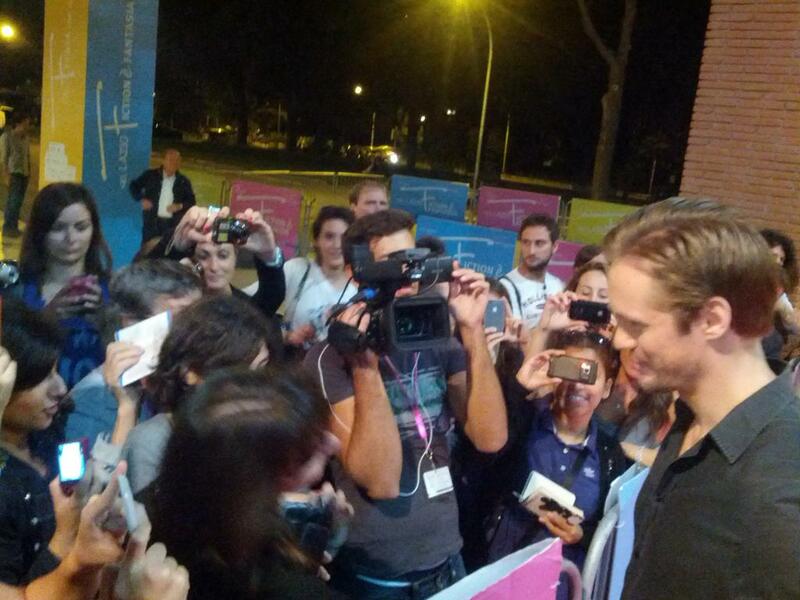 via Alexander Skarsgard Photos from Roma Fiction Festival. via True Blood Season 4 Finale Trailer Preview. 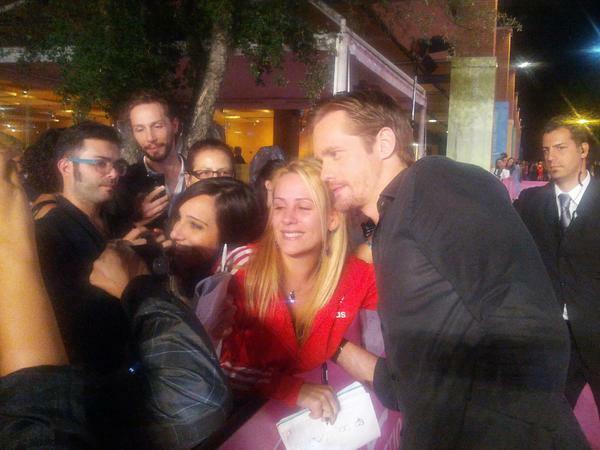 Images of Alexander Skarsgard taken in NYC during his time there filming his role in “What Maisie Knew”. True Blood Tongue Twister Tuesday Musings.